Owlpen Manor in its hidden private valley is the "paradise incomparable on earth", wrote the great poet Algernon Charles Swinburne. 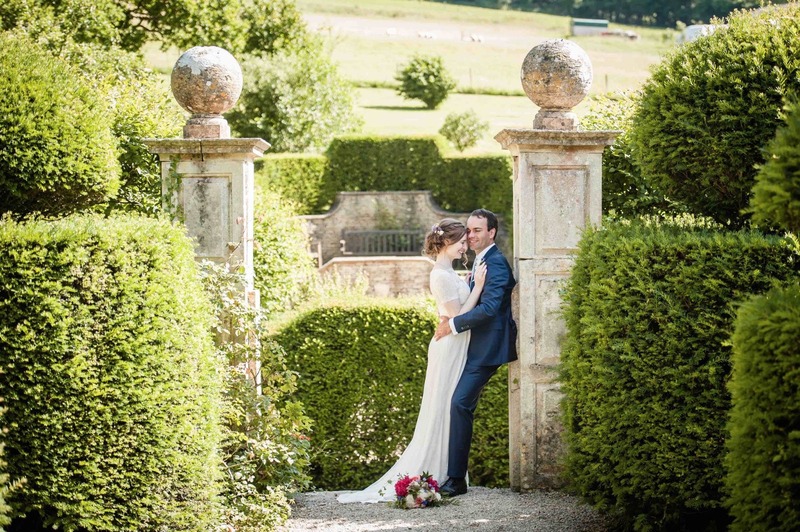 Choose this Cotswold paradise as your exclusive wedding venue, and find true romance and spoiling intimacy for a never-to-be-forgotten day! 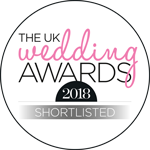 The Owlpen team will work with you to create your own personalised wedding experience: we are licensed for civil ceremonies both in the Tudor Manor House itself, and in the ancient Cyder Barn nearby. 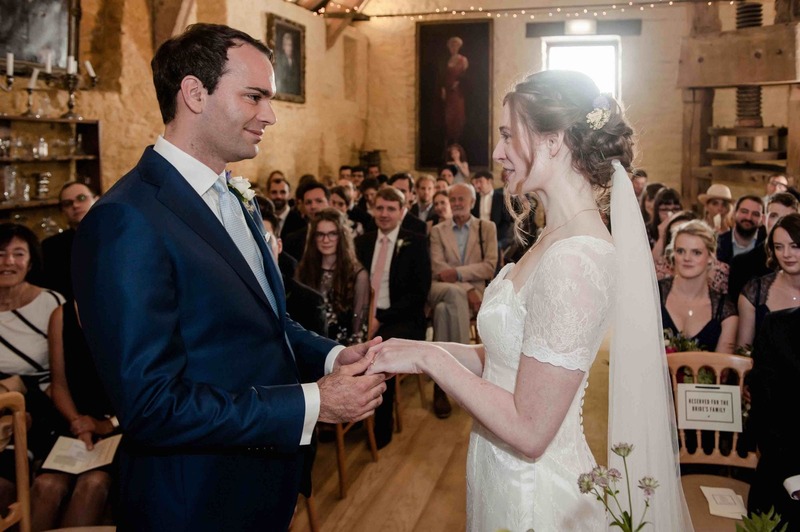 Dating to 1446, it is the oldest licensed wedding barn in Gloucestershire. 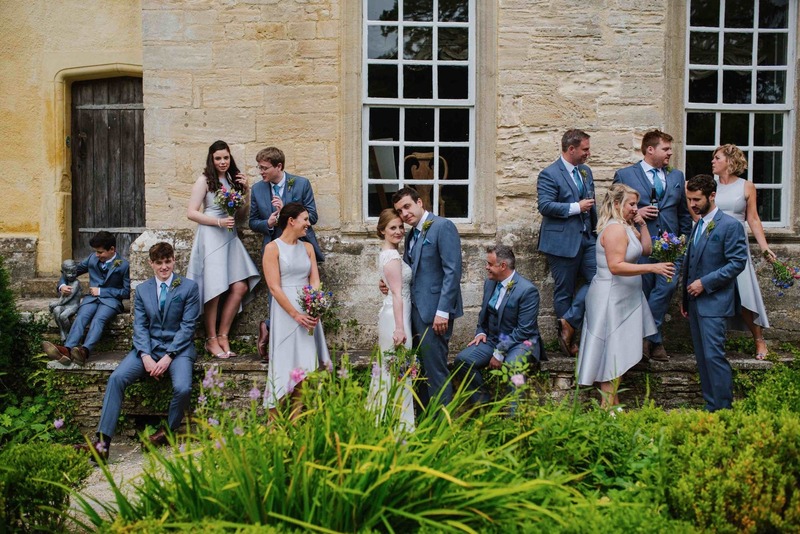 If you would prefer a church service, the beautiful Owlpen Parish Church is just a stone's throw from the manor house itself, so you can have a church wedding without having to leave the valley. 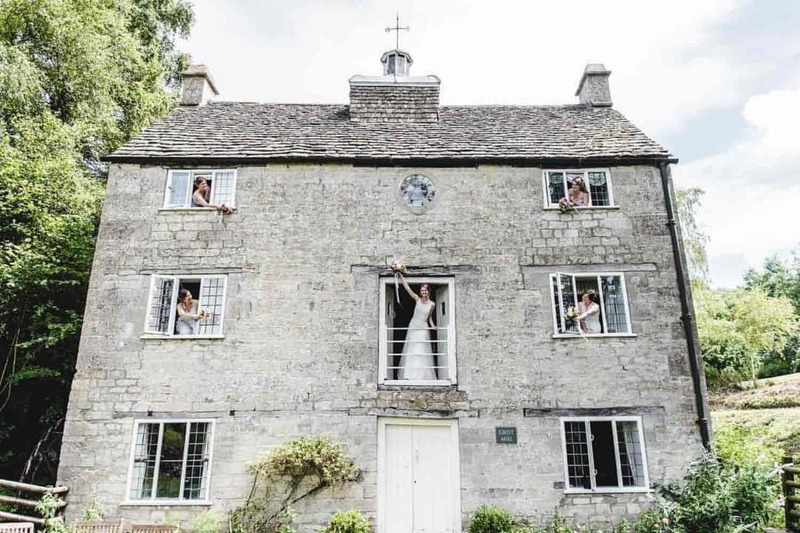 At Owlpen Manor you can enjoy your private wedding reception in the peace and tranquility of a secluded Cotswold valley, surrounded by family and friends, while our wedding planner makes sure everything is professionally organised down to the last detail, from managing parking to the wedding cake itself. 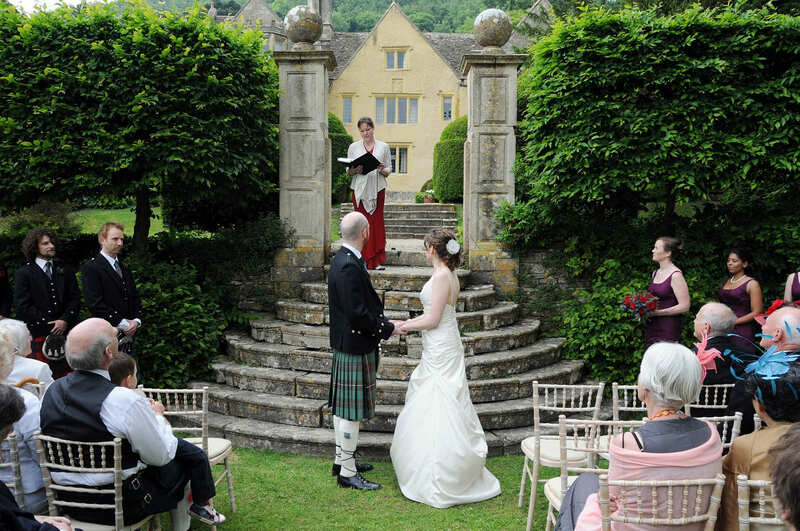 Cotswold wedding venue Owlpen Manor is an exclusive and adaptable setting for any special occasion. Everywhere you look there are scenic photo opportunities against the spectacular Cotswold backdrop. 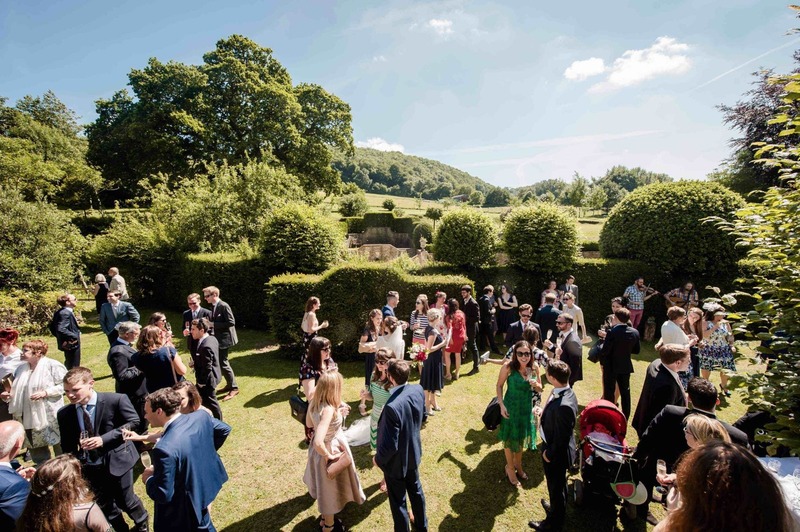 Offering a number of magical locations for your civil ceremony, wedding reception, dancing and dining, the estate is exclusively yours for an entire weekend, or during the week, depending on your preference. 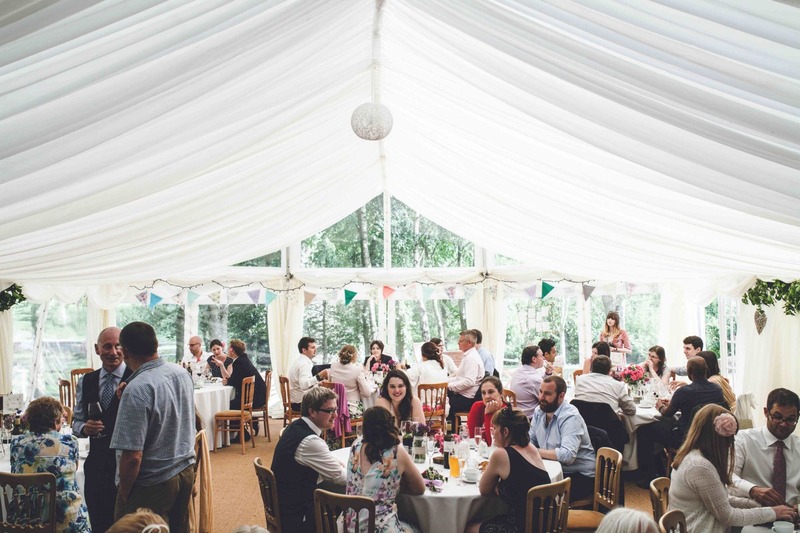 Receptions can be held for just 20 and up to 200. The site is licensed and we offer a superb range of selected wines; we can also run a fully stocked bar when requested. 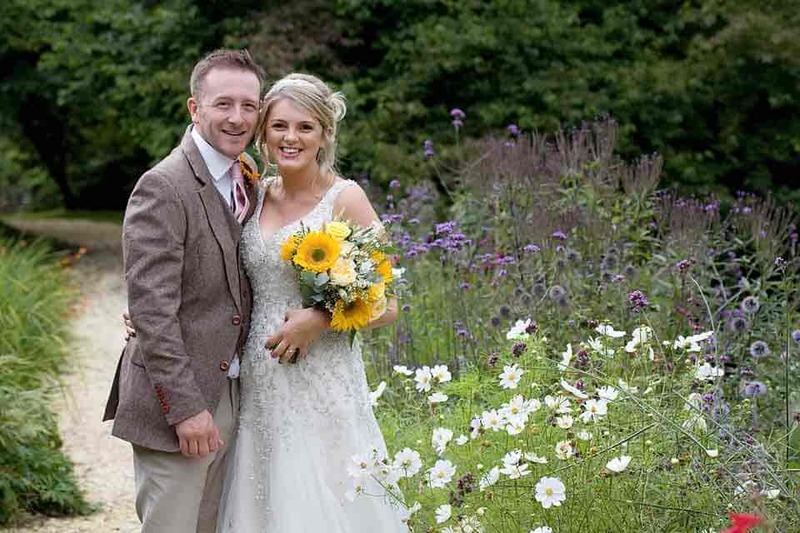 The Cyder Barn is a perfect barn wedding venue. 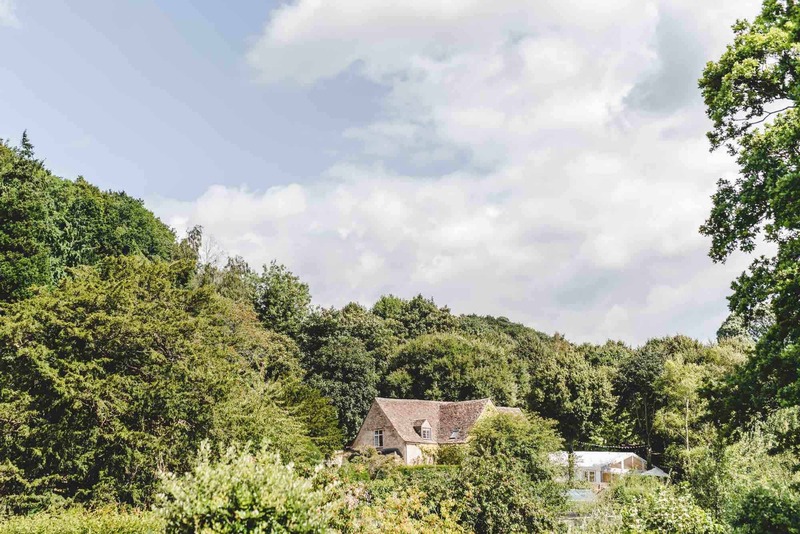 Its gigantic oak cruck trusses tower over the room itself, and the majestic cider press adds character and history to this already stunning building. 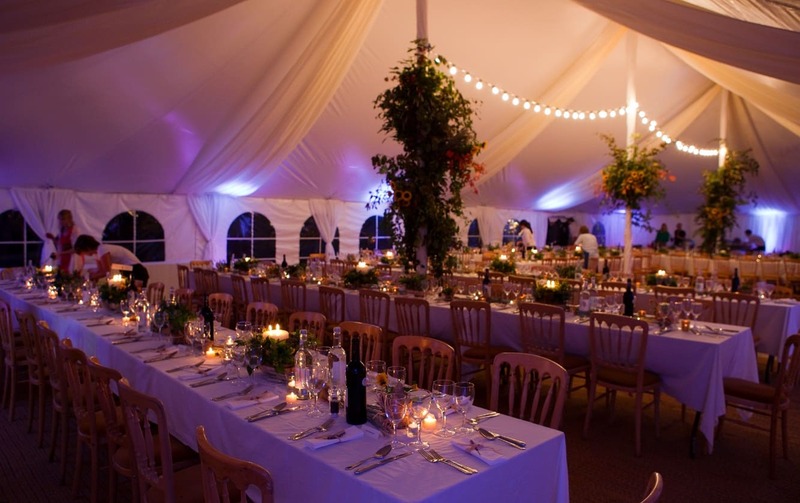 It is a uniquely flexible and intimate setting for up to 120 guests with an adjoining marquee. 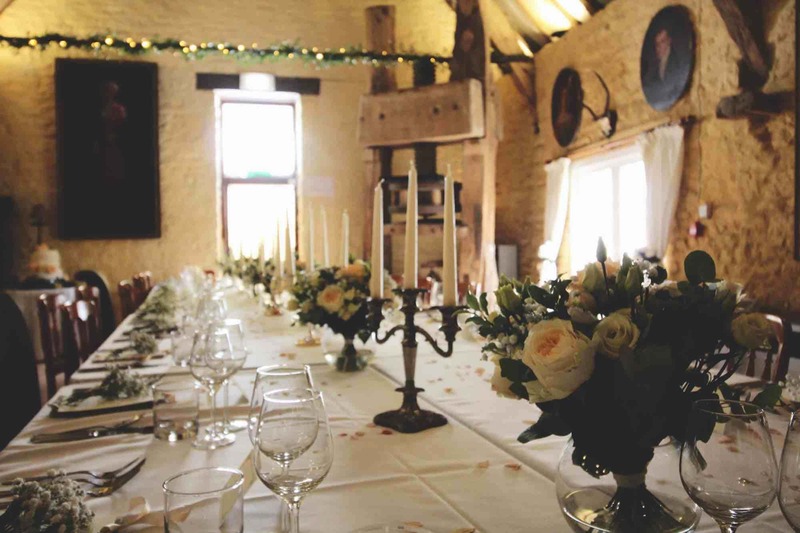 For smaller and more intimate weddings, the Cyder Barn itself can seat up to 50 people for winter weddings and more intimate celebrations. 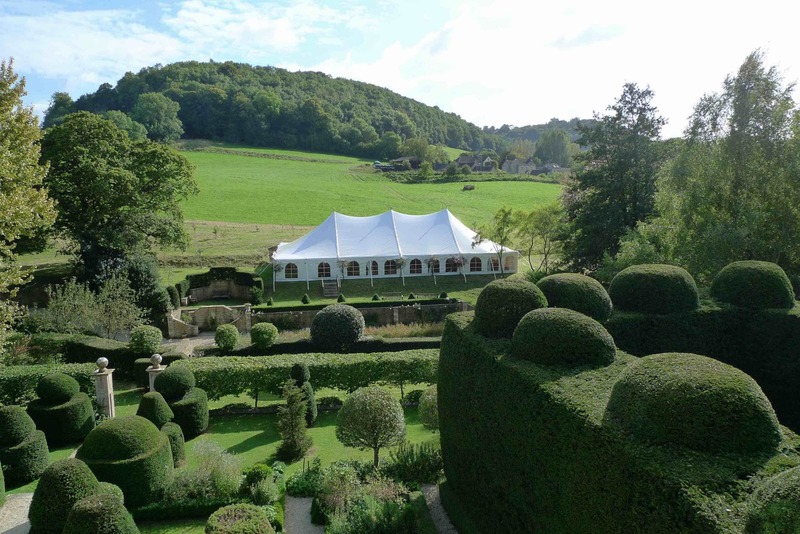 The manor gardens are an incomparably romantic setting for larger weddings for up to 200 guests in a marquee. 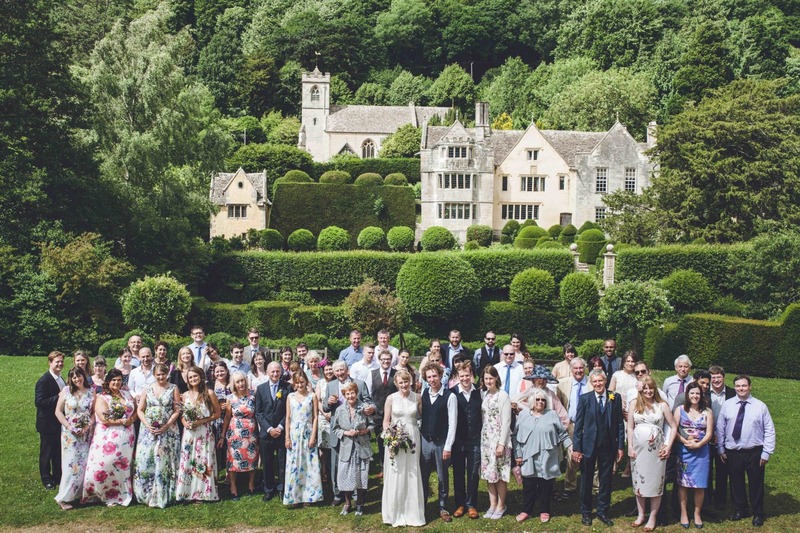 With their centuries-old clipped topiary and box parterres, they provide staggeringly beautiful views across to Owlpen Manor and Holy Cross church, a truly unique spot for your special occasion. 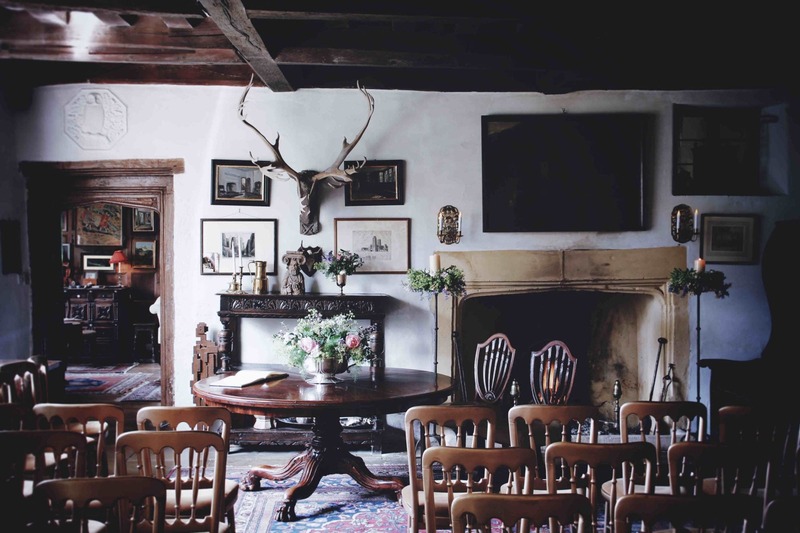 We welcome civil ceremonies and partnerships in the Great Hall of the Manor House or the Cyder Barn itself. These were licensed as Approved Premises under the Marriages and Civil Partnership Acts in 2015. 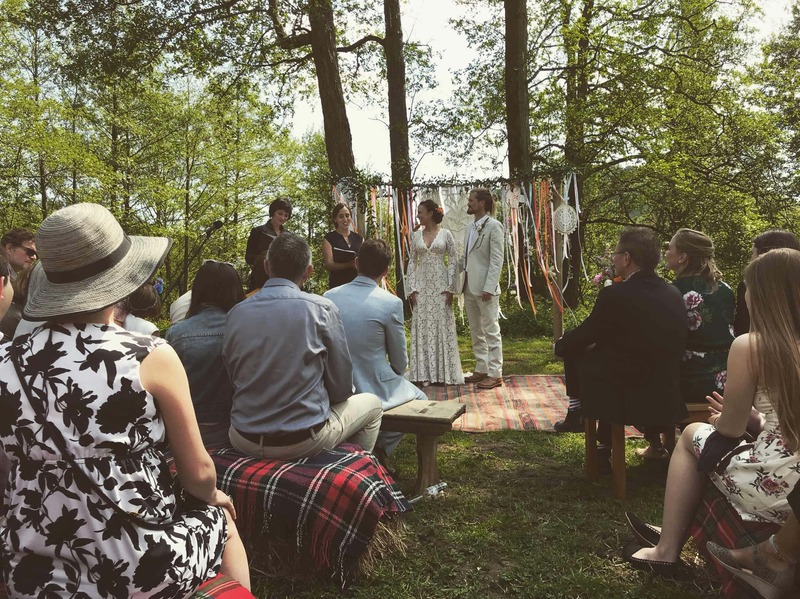 We are happy for you to come and have a simple ceremony here without having to have any refreshments afterwards. Or, you are welcome to have your ceremony followed by a drinks reception, or a sit down dinner. Either way, it's your day and your choice! The adjacent Church of the Holy Cross provides a breathtaking venue for Church of England wedding services and blessings, by arrangement with the Rector. It is an exquisitely beautiful place, richly textured with mosaics and tiles, and outstanding stained glass windows. Enjoy peace and relaxation in nine holiday cottages on the estate during your stay. 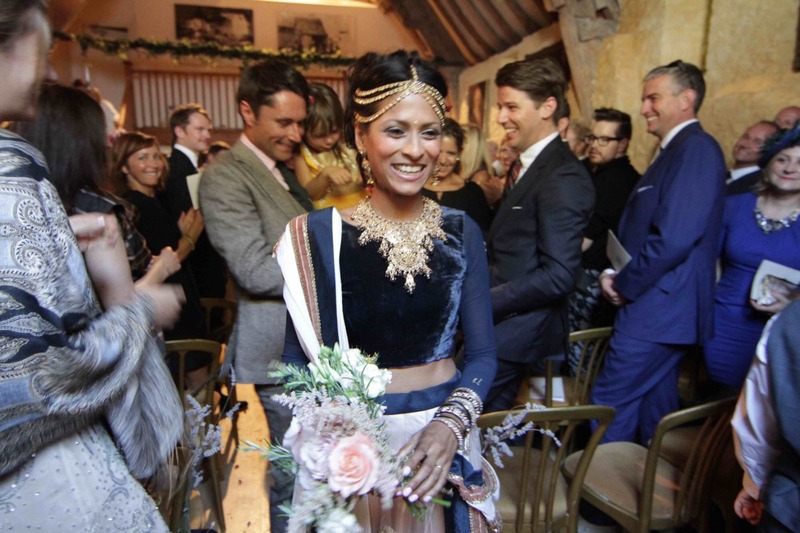 All of the houses can be exclusively hired for your wedding party, providing accommodation for up to 40 guests. Ample parking is available for all your guests. For young revellers on a budget, there is plenty of space where your guests can camp in the meadows by arrangement. We can also arrange glamping in our water meadows, all overseen by hand-picked local suppliers. For more information, click on the links to the right. 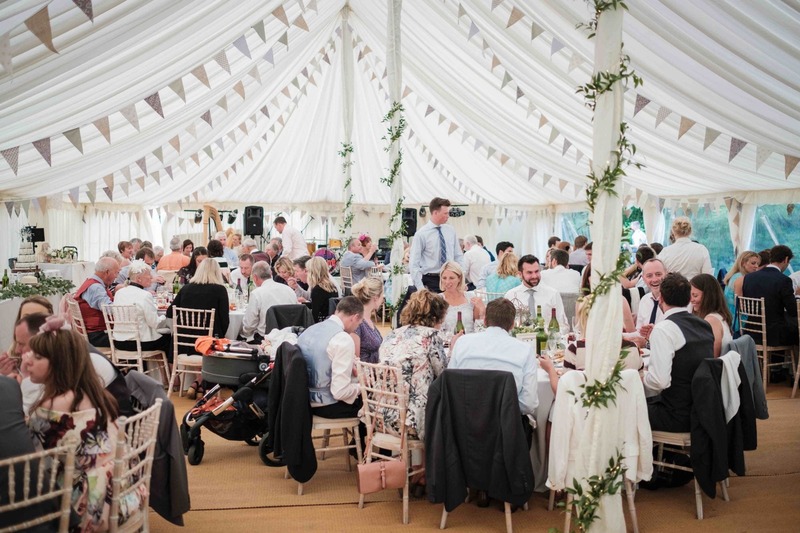 If you would like more information from us, please email our weddings expert Bella Wadsworth on sales@owlpen.com, or call the team on 01453 860 261.